The screenwriter's GPS for writing a great screenplay! Avoid the wrong turns, dead ends, gaping p(l)otholes, and other obstacles commonly encountered when writing a screenplay. The Screenwriter's Roadmap: 21 Ways to Jumpstart Your Story keeps you on route and helps you reach your final destination: a completed screenplay that's full of surprises, emotionally resonant, and ready for the marketplace. Neil Landau, an established Hollywood screenwriter and script doctor, provides 21 questions for you to ask yourself as you write, to help you nail down your screenplay's story structure, deepen its character arcs, bolster stakes, heighten suspense, and diagnose and repair its potential weaknesses. These 21 vital questions have been field-tested and utilized in the creation of some of Hollywood's biggest blockbusters and critically acclaimed films. Each chapter is augmented by end of chapter "homework" assignments, examples from recent blockbusters and timeless classic films, as well as interviews with some of Hollywood's most successful screenwriters including Scott Z. Burns (Contagion), Tony Gilroy (The Bourne Legacy), Laeta Kalogridis (Shutter Island), David Koepp (Spider Man), Jeff Nathanson (Catch Me If You Can), Eric Roth (Extremely Loud & Incredibly Close), David S. Goyer (The Dark Knight Rises), , Billy Ray (The Hunger Games), Melissa Rosenberg (the Twilight trilogy), Sheldon Turner (Up in the Air), and many others. Roadmap is a fantastic book to pick up for anyone looking to start his or her own masterpiece." "It’s easy to see how Mr. Landau is the screenwriting Professor at both UCLA and USC. His knowledge is vast and extremely discernible within the pages of The Screenwriter’s Roadmap. It is absolutely one of the best books written on the subject and should be on every screenwriter’s and filmmaker’s bookshelf! Highly Recommended." 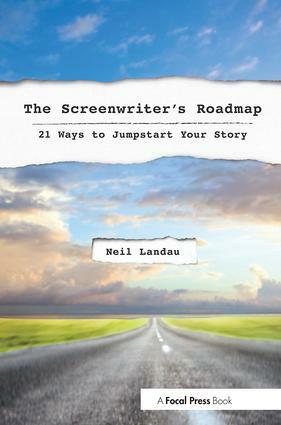 "As an aspiring screenwriter myself, and I tell you – I have gone through many screenwriting books from The Writer’s Journey to the Save the Cat series, Neil Landau’s guide is certainly one of the best texts I have read in regards to the screenwriting business." "The best screenwriting books aim to inflame that thought process, opening dialogue and creating discussion. This is far more helpful that a set of regimented rules. And that is exactly what Neil Landau had in mind. I won’t bury the lead: The Screenwriter’s Roadmap is an excellent release…The Screenwriter’s Roadmap is not only extremely informative but, frankly, it’s also a genuine page turner." teaches in the MFA in Screenwriting and Producing Programs at both UCLA School of Film & Television and USC School of Cinematic Arts, and is a faculty advisor in the MFA in Writing Program at Goddard College. He also wrote the cult hit "Don't Tell Mom the Babysitter's Dead", among many other credits.